Since we’re in the run-up to Father’s Day, I thought I would start sharing some gift ideas, so present buying is a little easier. I don’t know about you, but I usually get completely stumped when it comes to buying gifts for guys, but fear not! I come bearing gift ideas aplenty, and I’m starting off with a good ‘un! 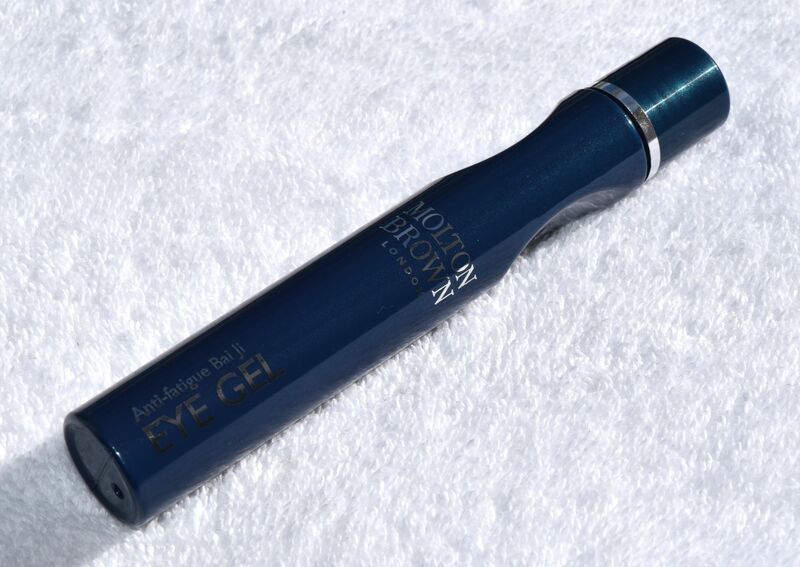 Molton Brown have just released a line of mens’ skincare, and one of my favourite products is the Anti-Fatigue Bai Ji Eye Gel. It’s a roller ball applicator which deposits a light gel which moisturises and calms your skin while algae extract helps reduce the appearance of puffy, dark circles. I’ve been popping this in the fridge, and using it every morning before I apply my makeup. The cold roller ball feels ah-mazing, and it works like an absolute charm to de-puff if I’ve had a late night. 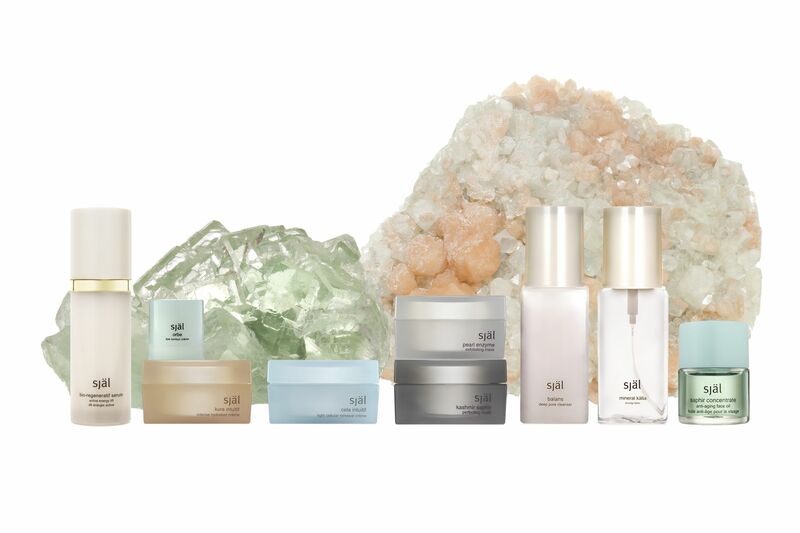 Honestly, this is one of those products which you can then gift then surreptitiously use – it’s a win win! I really can’t believe we’re in June already – 2015 seems to be absolutely racing by, and I cannot believe it’s almost half the year gone already! June is also my birthday month, and as my mother keeps kindly reminding me, I’m one year closer to 30 (eek)! 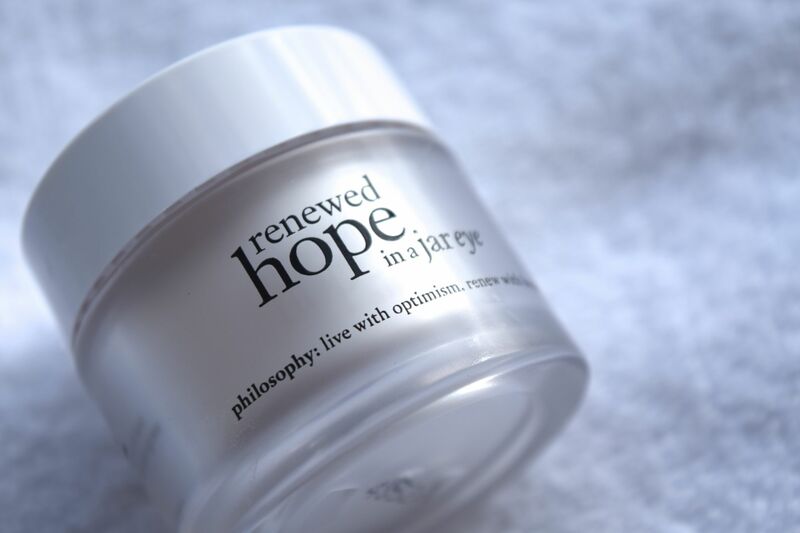 So, in attempt to at least look younger than my 25 years, I’ve been turning to Philosophy’s fabulous Renewed Hope in a Jar Eye Cream. 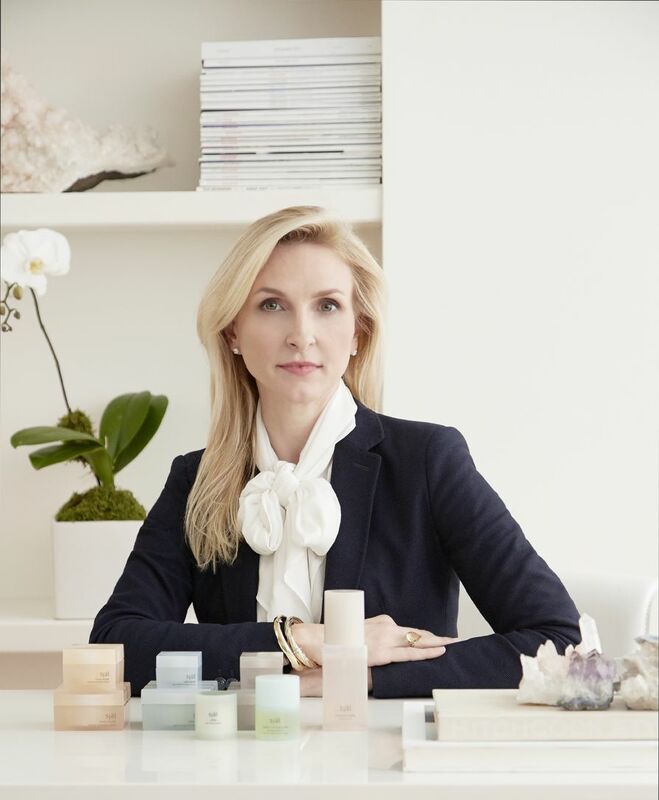 I’ve not really dabbled in Philosophy face creams before – I’m usually too distracted by their bubble baths to notice, but I’ve been seriously impressed with this chic little white jar. 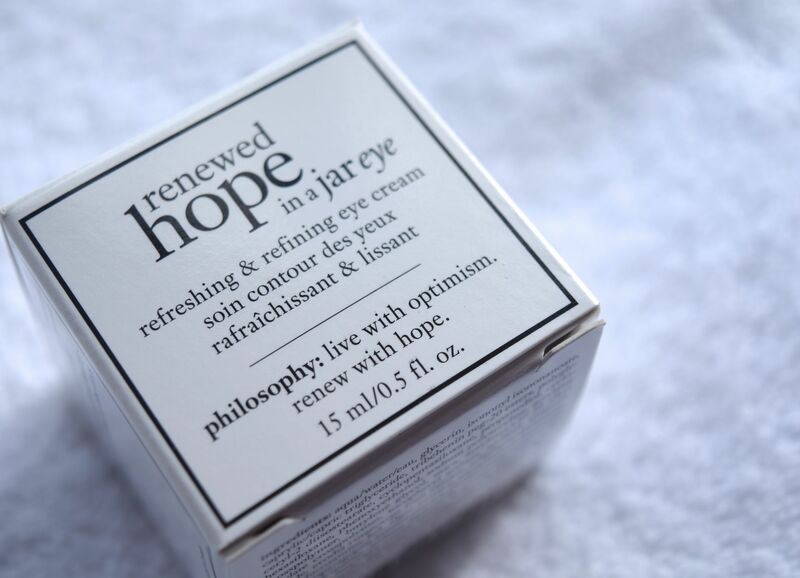 Promising to refresh and revive the eye area, I’ve been turning to Renewed Hope in a Jar Eye every evening before bed. To use, I simply tap a little of the formula around my orbital bones using my ring fingers. If I’m suffering from hot or tired eyes, I also use my rose quartz butterfly to help the cream sink in. 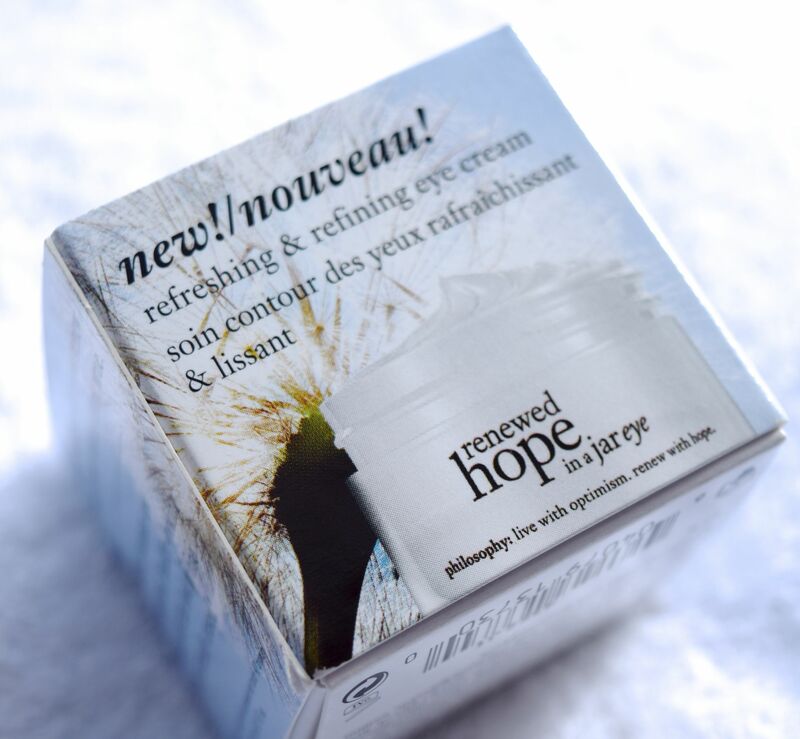 I’m kind of obsessed with the texture of Renewed Hope in a Jar Eye. 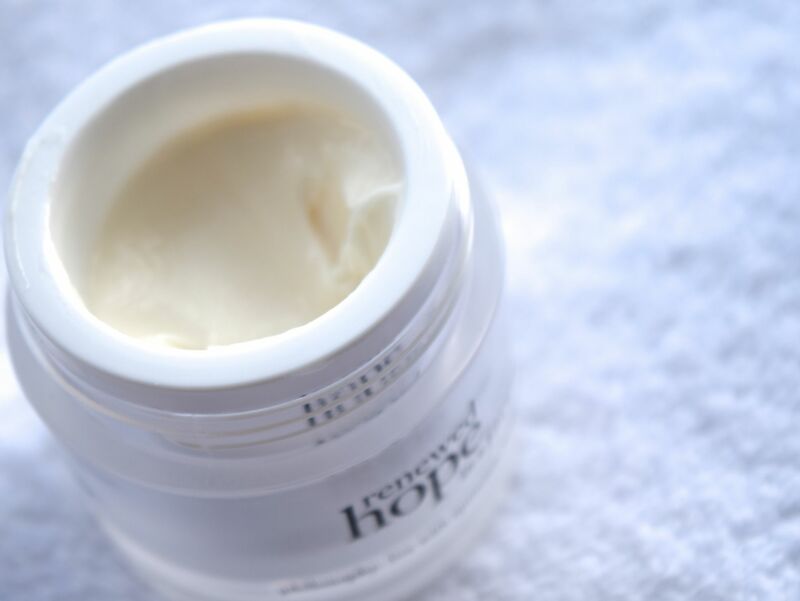 It has a light yet almost balmy feel which is perfect for all night hydration, and when I apply the cream, there isn’t a hint of irritation for my sensitive skin. Instead, my delicate under-eye area feels calm and soothed, and when I wake up, puffiness is reduced which means I’m reaching for my concealer less than before, and that’s always a good thing! 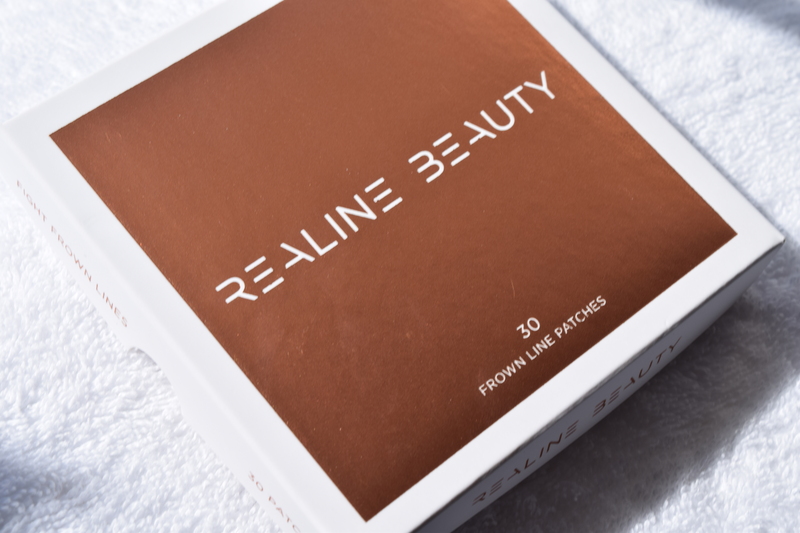 So it will come to a surprise to exactly no one, that I love trying out new beauty products, and I can safely say that I’ve never stumbled across anything which even remotely resembles Realine Beauty’s Frown Line Patches. On the photo above, you can just about see the outline of the sticker, which, when peeled, resembles ‘invisible’ Sellotape. 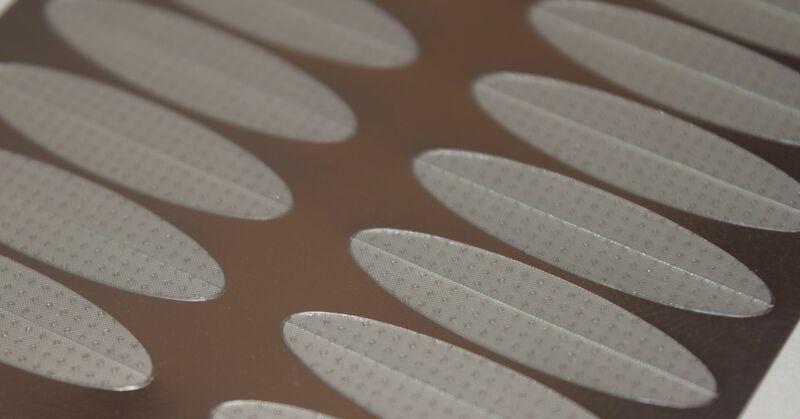 The difference is, however, that Realine’s frown patches are completely hypoallergenic and the shape is designed to train muscles out of frowning. Every evening, after I’ve cleansed, I’ve been popping a sheet on my forehead, and then smoothing it to make sure it’s properly in place. The special shape of the patches really focuses on the ’11’ lines some people get between the eyebrows, and even though it sounds crazy, the patches really do help muscles relax away from frowning. 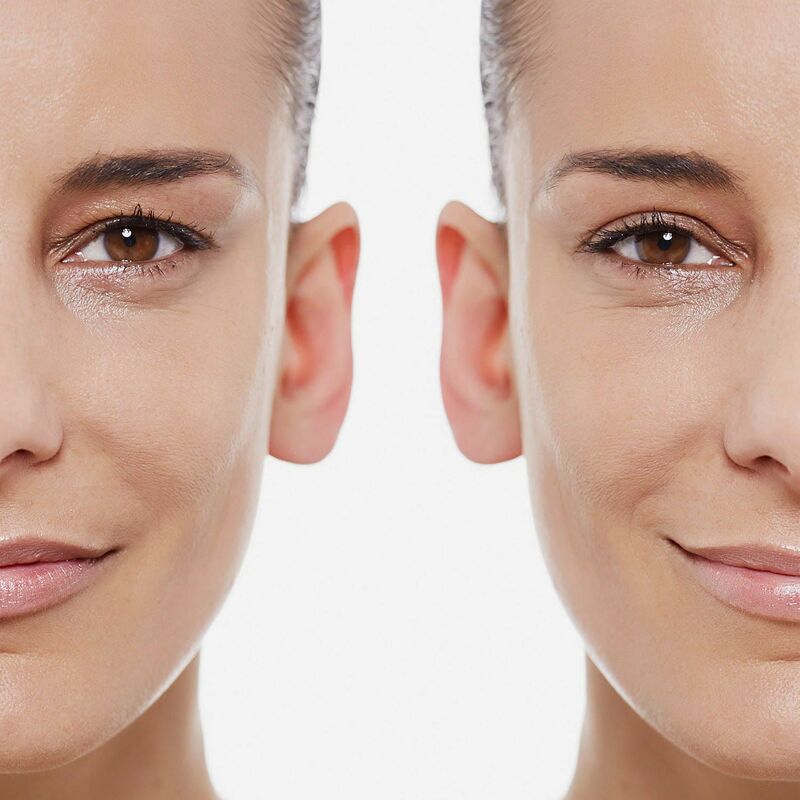 I’ve noticed that when I’m working away in front of a computer I tend to frown as I’m thinking, and since I’m trying to avoid botox for as long as possible, I’m finding Realine’s patches a fabulous alternative. The patches are incredibly easy to use, and they don’t look too funny once I smooth them on at night. 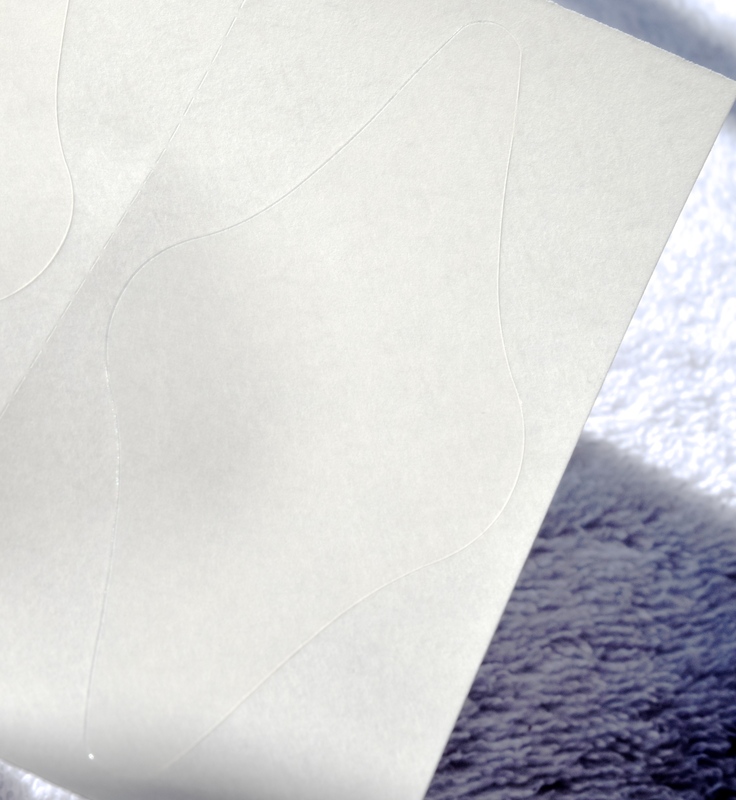 When it comes to removing them in the morning, they peel off incredibly easily leaving no stickiness or irritation, even on my sensitive skin! I also don’t think that it’s a coincidence that my tension headaches have also been reduced! A box of 30 Realine Patches (a month’s supply) is priced at £28 and is available here. It’s a bit of an understatement to say that I’m always trying to find the newest, most unusual products. And I think I may have just about outdone myself with Magicstripes. 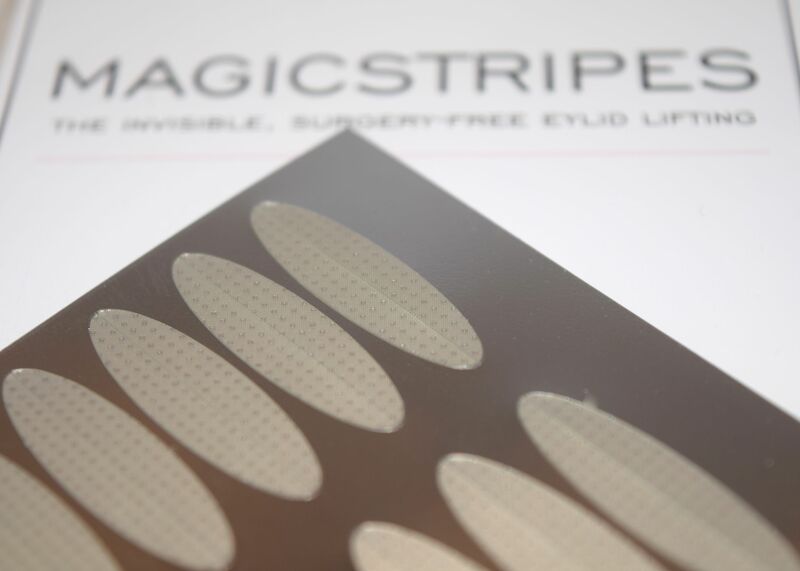 Basically, if you suffer from heavy or droopy eyelids, you need to check these transparent silicon strips out! 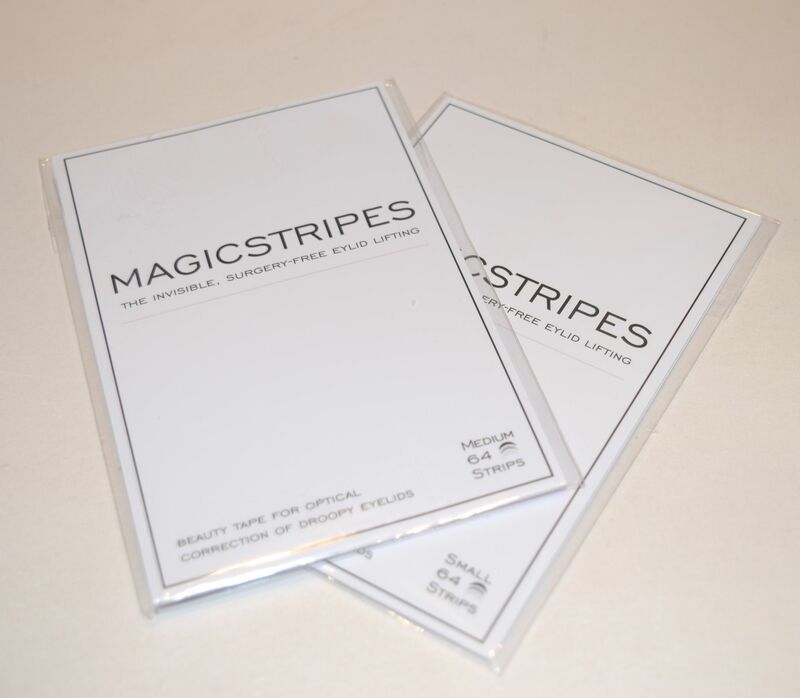 Magicstripes come in two sizes – small and medium, and if you’ve not tried them out before, I would recommend grabbing both sizes, to make sure you find which size works best for you. 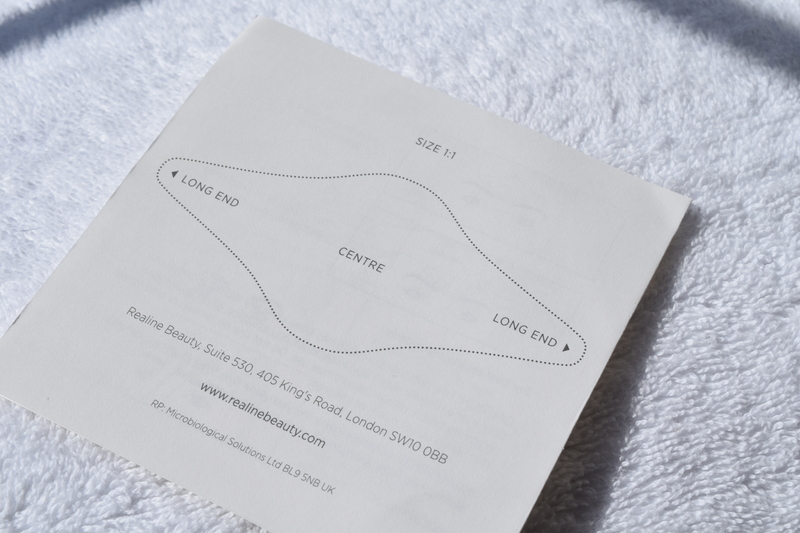 In addition to working with eye size, the small strips are recommended for normal, sagging eyes, whilst medium strips are best for big eyes and drooping eyelids. Despite looking quite complicated to use, the strips are super easy to get the hang of! 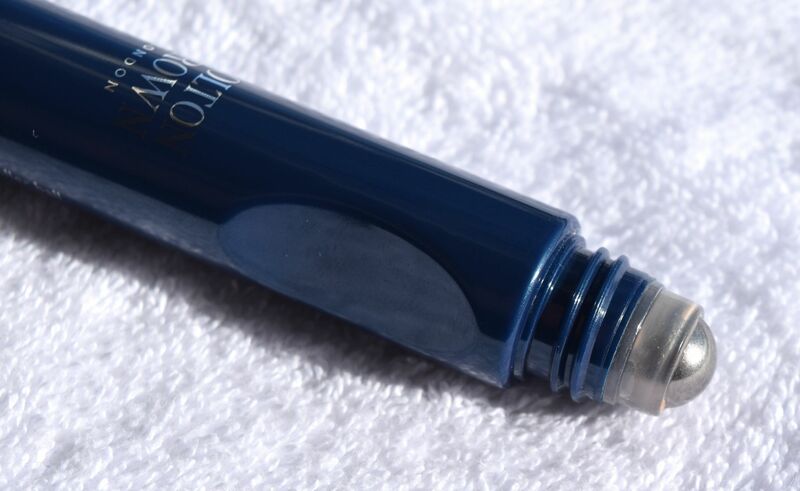 Before applying, it’s best to prime your eyelids by removing any oils. To do this, I swipe the lids with a toner-soaked cotton pad, then I pat the area dry. Afterwards, you just peel off one of the strips and position it directly in the crease of the eye. The strips have adhesive which then sticks to the lid, and the magic happens! What I find incredible, is how subtle Magicstripes are. They feel almost weightless whilst on, and they make you look so well rested and alert. Thankfully, droopy eyelids are too much of a problem for me, but some members of my family (who, of course shall remain nameless) have become absolutely addicted to using them!